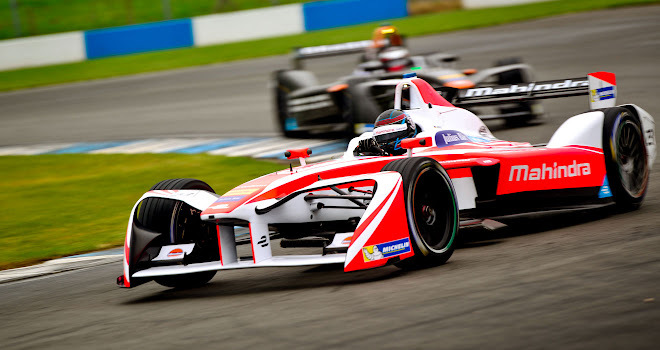 The third season of Formula E, the increasingly popular electric racing series, is due to begin in October. The teams recently tested their latest cars at Donington in the UK, ahead of the opening round in Hong Kong. GM: What did you do before Formula E? VP: I began my career as a race engineer in F3, worked in A1GP and then moved into Formula 1 with Pirelli as a tyre engineer, working with Williams and Red Bull Racing. When Formula E came up I was intrigued by the technology. In F1 you generally get a very small amount of the car to work on in infinitesimal detail. Formula E meant a broader role as well as a very new and very big challenge at that point, in season 1. GM: At present, teams are limited in what they can develop – every team uses the same chassis, tyres, aerodynamics and battery. Is it frustrating being limited to working on only the motor, gearbox, electronics and rear suspension? VP: Full competition is one of the longer term aims of the championship. Due to mainly economic reasons they’ve delayed that, but I think they’ve managed the rules quite well. There’s enough of the car that we have totally free scope on. Externally everything looks the same but under the skin there are all these different solutions from Renault, DS, ourselves – all the way down to NextEV and the new boys at Jaguar. The good thing is there are still a number of motor and gearbox technologies you can use so instead of converging that quickly, which probably will happen eventually, the rules are still quite open. You can still have more than one design that could be competitive. GM: With global brands like Audi and Jaguar joining Formula E – potentially bringing bigger budgets – is the sport about to change? VP: It will inevitably change. It has been very professional from the word go but as soon as the larger brands come in the amount of money and technical know-how will grow. The FIA regulate the number of people allowed at the track – you’re only allowed a certain number of engineering personnel – and that is a very good thing. 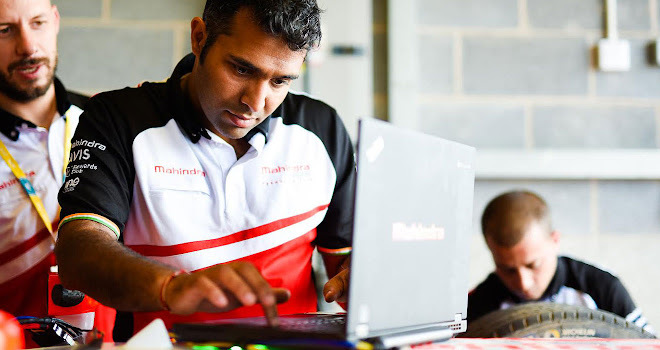 But a lot of Formula E is done away from the circuit because there are very strict regulations on testing, so the effort goes into simulation, software tools and other offline studies which require a lot of engineering input, a lot of computing power and a lot of research. GM: When there is full competition for the whole car, where do the biggest gains stand to be made? VP: For me, five years from now, I think we’ll all be talking about cell technology. If it does get to be open competition in cells and batteries, which I hope it does, it will be the single biggest push by any technological arena for automotive cell technology. 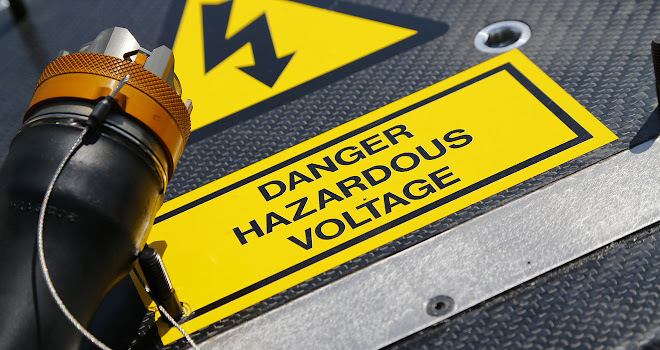 The biggest restriction in automotive EVs at the moment is simply there aren’t the cells out there in a mass-produced and large-scale form to take the place of your fuel tank. The Teslas of the world are getting ranges of almost 300 miles these days, but it’s still not good enough. We need to be in the area where the battery is small enough to fit in a regular car but give you 500 or 600 miles. Then we’ll get massive amounts of EV adoption. GM: Formula E’s governing body plans to bring in a 54kWh battery for season 5, starting in 2019, up from the 28kWh battery in today’s Formula E cars. Has the series considered battery swapping rather than a bigger battery? VP: The new battery is the biggest step that Formula E wants to make in season 5, and the challenge there is to get a cell that will do the job. Battery swapping is not out of the realms of possibility but that’s not the marketing message anyone wants to send at this moment. I don’t really see that coming into Formula E as a viable option to make the racing any more exciting or the sport any more technologically advanced. It’s better to say we used to use two cars and now we have one. It’s not impossible that we might do mid-race charging – that by driving over a certain part of the circuit you can charge the car. 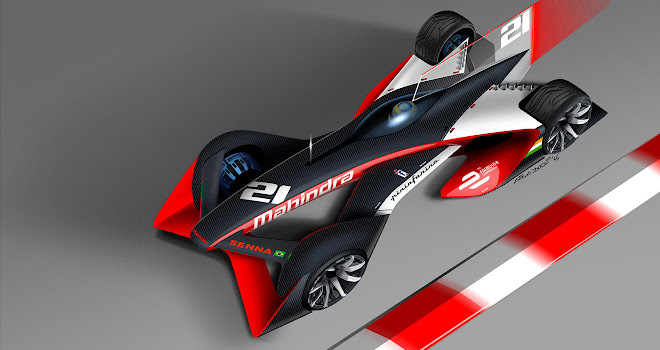 GM: Mahindra now owns Italian design house Pininfarina, which came up with some eye-catching Formula E concepts earlier this year. Do you think they give a good indication of where the series might go? VP: Those designs are quite futuristic and groundbreaking. The cars have made a small step this year by changing the bodywork, but essentially the nature and the shape of the car is quite close to a standard single seater. 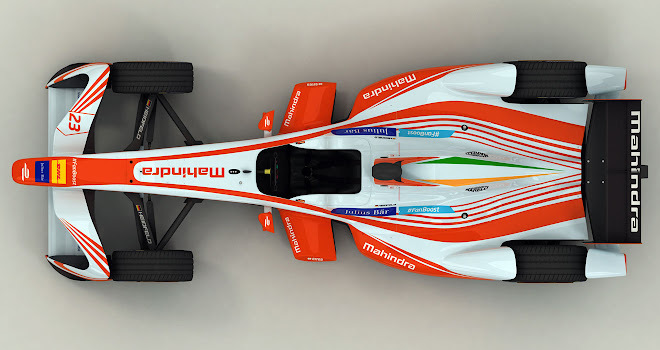 If we do go full electric and exploit the potential over the coming years through things like torque vectoring, four-wheel-drive, hub motors, it means the entire concept of what a Formula E car looks like could change. The cooling demands would be different. The layout in terms of where the wheels could be would be different, and you’re changing fundamental things that could be very alien to a few people. GM: What do you make of Roborace, the proposed autonomous electric racing series that is due to support Formula E later this season? VP: It’s a big departure but I think that’s a very interesting market in itself. I do feel from a personal perspective that autonomous driving will arrive in towns and cities in the coming years. It removes ownership as an issue. You can step into a vehicle that doesn’t need a driver and probably tell it via an app on your phone where you want to go and it’ll take you there in full comfort and safety. 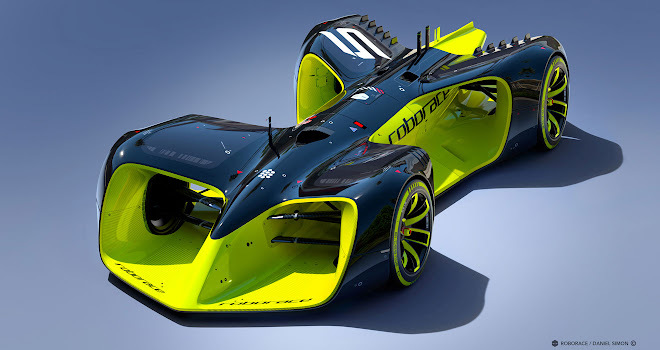 With Roborace, it’s highly likely that if you’re a large automotive manufacturer you’re investing in electric vehicle technology, which is why you might invest in Formula E. And you might also be investing in autonomous technology, which is why you might invest in Roborace. 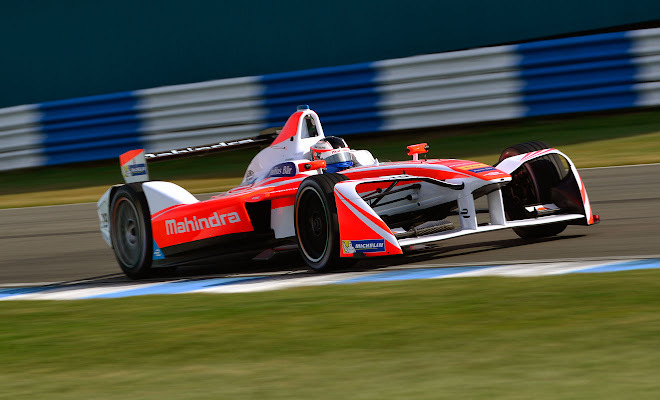 GM: Do you think Formula E could one day become more popular that Formula 1? VP: I’m not sure if it will ever become more popular than F1 but I can see them converging. F1 has already moved towards hybrid and electrical based technology and I can see that the synergies between the technologies will become very similar. F1 is a lot more about control systems and software than other racing series. You could argue that Formula E is already 10 steps ahead, because we’ve removed the fuel element, so we’re all about regen and electrical performance and efficiency. We have to be, because we do races where we need to save energy so the cars don’t run out of charge, while still trying to beat everyone else on the grid.